HOINA accepts children from all castes, creeds, and religions. Each child is handicapped, orphaned, or destitute when admitted to the HOINA homes. Typically, children are referred to HOINA by social workers, pastors, village elders, and word of mouth. For just $30 a month, you can sponsor a child to provide all their basic care. Sponsor a child below, or click to read about some of our children in need. Poor economic, social, and health conditions are common factors that families encounter that lead to orphan hood. For example, many children are in situations where a single mother or grandmother cannot afford to feed and care for their children. In addition, HIV/AIDS, alcohol abuse, poor access to health care, and dangerous working conditions result in many children becoming orphaned at a young age. There are also times when children are brought to HOINA to prevent relatives from selling the child into servant hood. Lastly, in a few situations, children may be admitted and stay at the home until a parent is able to support themselves and their family. HOINA’s mission is to break the cycle of poverty by developing young adults who will contribute to society and to the welfare of others. Accordingly, we devote a lot of effort and resources to education so that as young adults HOINA’s children are able to support themselves. 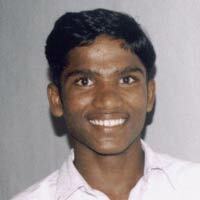 U. Shiva Kumar was found begging in a train station near Hyderabad in 1997. Today, he leads the tailoring unit at the boys’ home. Gayathri was brought to HOINA after her father, who wanted a divorce, poured acid on her and her mother’s face while sleeping. She required five surgeries to correct the damage to her face. Currently, Gayathri is a nurse in Chennai. Aruna Kumari came to us unable to walk due to the effects of polio. She was flown to the United States, where she underwent corrective surgery. She returned to India, able to walk for the first time since having polio. 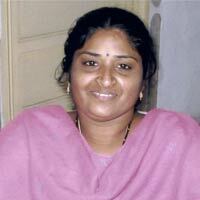 She earned a Master’s degree in Social Work, and currently works at the University at Tirupati. She has one daughter. Sambaiah was nine when his father abandoned the family. His mother had 6 children and could not care for them all on her meager wages. She brought the youngest to HOINA and asked for our help. When Sambaiah was 17 the other children voted him HOINA hero of the year. He went on the complete a hotel management course and now works at the Chola Sheraton. He gives part of his salary each month back to HOINA to help other children.